During the twentieth century, genes were considered the controlling force of life processes, and the transfer of DNA the definitive explanation for biological heredity. Such views shaped the politics of human heredity: in the eugenic era, controlling heredity meant intervening in the distribution of "good" and "bad" genes. However, since the turn of the twenty-first century, this centrality of genes has been challenged by a number of "postgenomic" disciplines. The rise of epigenetics in particular signals a shift from notions of biological fixedness to ideas of plasticity and "impressionability" of biological material. 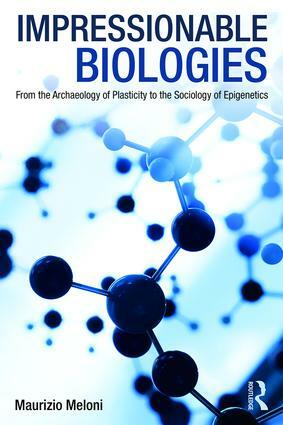 This book investigates a long history of the beliefs about the plasticity of human biology, starting with ancient medicine, and analyses the biopolitical techniques required to govern such permeability. It looks at the emergence of the modern body of biomedicine as a necessary displacement or possibly reconfiguration of earlier plastic views. Finally, it analyses the returning of plasticity to contemporary postgenomic views and argues that postgenomic plasticity is neither a modernistic plasticity of instrumental management of the body nor a postmodernist celebration of potentialities. It is instead a plasticity that disrupts clear boundaries between openness and determination, individual and community, with important implications for notions of risk, responsibility and intervention. With this impressive genealogy of the thinking that underwrites current interest in epigenetics, Meloni provides us with a much-needed frame for one of the most compelling ideas in contemporary bioscience. This book should be required reading for anyone curious about the ways that we, as living beings, carry the past both with and within us. Impressionable Biologies, a tour de force, engages with a concept of inherent bodily plasticity recognized as one form of another from classical humoralism to present day epigenetic effects due to the increasingly toxic environments in which we now live. Maurizio Meloni is a social theorist and a science and technology studies scholar. He is the author of Political Biology (Palgrave 2016), co-editor of Biosocial Matters (Wiley 2016), and chief editor of the Palgrave Handbook of Biology and Society (2018). He is Associate Professor of Sociology at Deakin University, Australia.